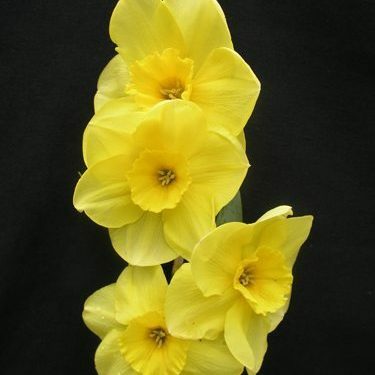 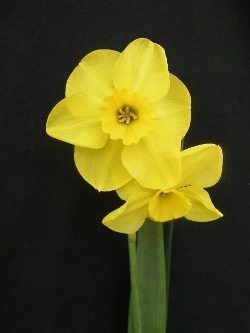 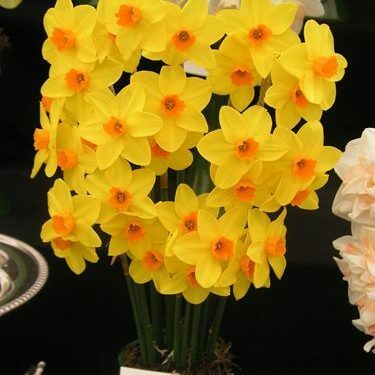 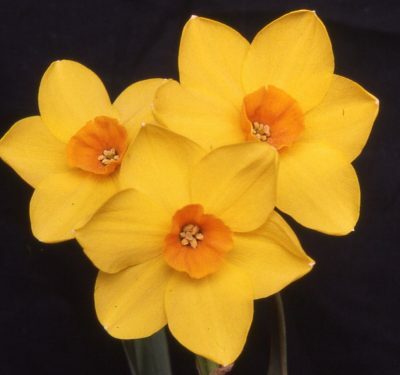 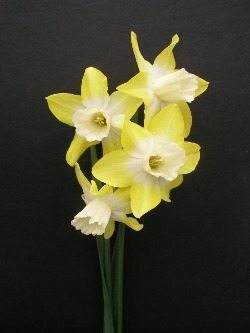 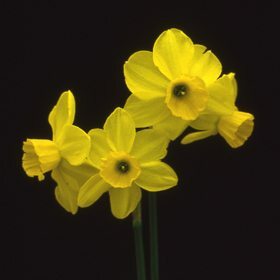 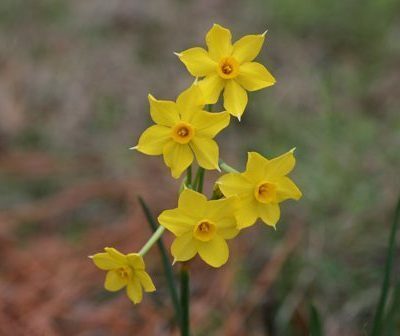 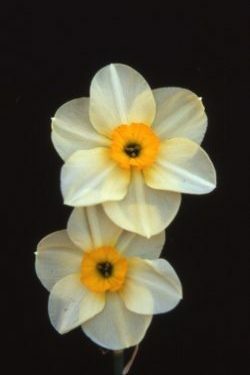 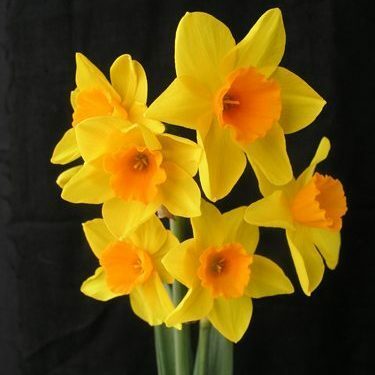 Charactistics of Sections Jonquilla or Apondanthus clearly evident: one to five (rarely eight) flowers to a stem; perianth segments spreading or reflexed; corona cup-shaped, funnel-shaped or flared, usually wider than long; flowers usually fragrant. 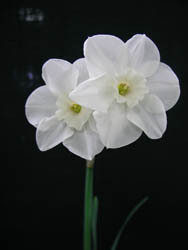 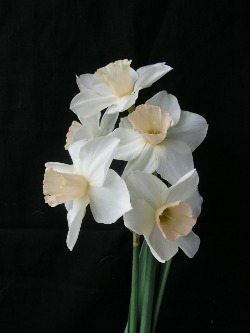 This Jonquilla section is for hybrids that have been bred with the species N.Jonquilla. 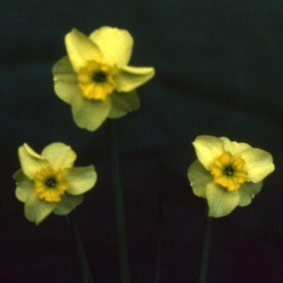 The resulting plants vary in stature from quite dwarf to very tall, however they are generally on good stiff stems that can stand a fair amount of wind. 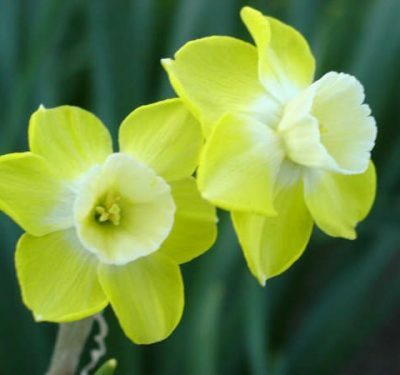 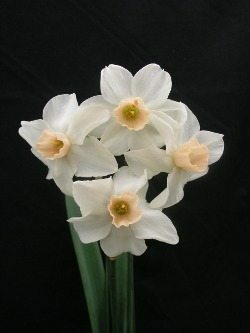 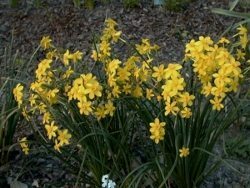 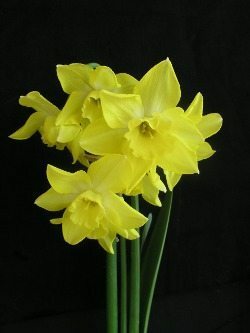 Most of the stems do have several flowers on each and without exception all are sweetly scented, which makes them ideal for indoor decoration.